Most clients, and most individuals for that matter, have something on their skin they would like to conceal, be it blemishes, under eye circles, age spots or acne scars. We need to help our clients put their best face forward and not let these skin challenges define their day. One way to do that is to guide them to properly selecting and applying concealer, which this article will discuss. 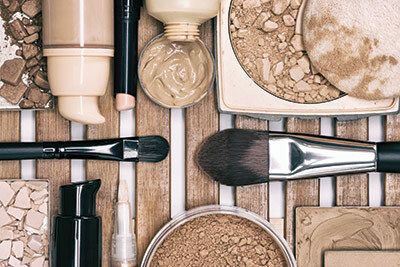 A concealer is defined as a type of cosmetic that is used to mask dark circles, age spots, large pores, and other small blemishes visible on the skin. It is similar to foundation, but traditional formulas are thicker and using different pigments by blending the imperfection into the surrounding skin tone. They come in a wide variety of forms, from liquid and cream to gel, stick and powder. Camouflage concealers have much heavier pigments to cover skin challenges such as birthmarks, scars and vitiligo. Basically, concealers have to work really hard. They have to cover up, erase and brighten while looking like they are not even there. The good news is the modern day concealers do so much more than just covering up. They have nourishing and anti-aging ingredients, light reflecting pigments and maintain their consistency all day long. So, they can be used to disappear in the skin, block skin discoloration and add light at the same time. As if choosing the right foundation for your client’s skin is challenging enough, choosing the right concealer is another mission on its own. With so many formulas and finishes in the market, finding that holy grail concealer that perfectly meshes with your client’s skin type can feel a little like finding a needle in a haystack. Here are the four main factors you need to consider when determining the best concealer for your client: color correction, hydration, smoothing and additional skin nutrients. 1. Color Correction. Concealer is available in a variety of shades. When picking a concealer, people tend to choose one or two shades lighter than their skin tone to better hide their blemishes and dark circles under the eye. Some colors are intended to look like a natural skin tone, while others are meant to cancel out the color of a particular type of skin challenge. Concealers with peach or yellow undertones are used to hide dark circles. Green and blue concealers can counteract red patches on the skin, such as those caused by pimples, broken veins, or rosacea. A purple-tinted concealer can make sallow complexions look brighter. 2. Hydration. The best way to disguise wrinkles is to hydrate them. While the universal beauty trend seems to embrace full coverage concealers today, such formulas rarely look flattering on those of us with a drier under eye area or mature skin. Magnifying all the fine lines and creases under the eye is not the goal. What is truly beneficial for concealing aging eyes is a formula that contains fine-line plumpers, like hyaluronic acid which is a humectant that helps it preserve moisture and creates a level of smoothness and suppleness. Intense hydrators like glycerin make lines look less prominent, while also preventing the concealer from settling into creases. If your client is dry, they can truly benefit from a hydrating concealer. Many of the current concealer formulas are creamy, smooth and hydrating, yet surprisingly weightless to blend seamlessly and disappear into skin. Another benefit of a concealer with these emollient ingredients is more slip to blend, which helps prevent tugging on the delicate skin under the eye. If you notice a concealer has a featherlight texture, don’t assume it has sheer coverage. Mineral pigments are able to diffuse light, making the skin looks lighter and brighter. Therefore, mineral pigments are often a choice for under the eyes. 3. Smoothing. Silicone based primers are a magic weapon for many beauty professionals, so why wouldn’t they be fantastic in a concealer formulas? 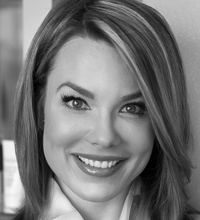 A great way to describe a wrinkle to your client is that it is a small valley in your skin that silicone can fill, visually creating a smoother surface. Dimethicone is technically a silicone-based polymer (a.k.a. silicone oil), which makes it popular in primers and concealers. Some clients may be sensitive to certain ingredients, so it’s important to select the perfect ingredient combo for your client’s concealer. I have had success using all dimethicone based products and have not seen adverse effects with it such as pore clogging. However, every skin is unique, so it is always best to test it first before applying it in multiple areas. 4. Skin Nutrients. Contemporary concealer formulas have multiple benefits including nutrient packed antioxidants and anti-aging ingredients. Imagine a formula that makes your under eye circles disappear while delivering green tea that eradicates free radicals on the delicate eye tissue. Masking age spots can be challenging, but finding a formula that includes vitamin C, also a free radical fighter, will increase collagen and brighten dark spots. A few other key ingredients to look for in a concealer is vitamin E, which helps increase hydration; and botanical extracts such as lychee fruit to brighten. Concealer formulas that include anti-aging peptides are ideal for under the eyes but should be avoided when covering breakouts. Instead, look for concealer formulas that have acne fighting ingredients such as salicylic acid. Set with powder. 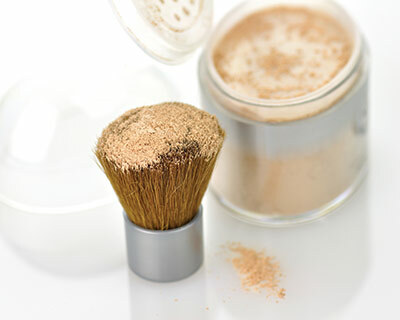 Use a translucent or setting powder and apply sparingly with a small fluffy powder brush. This will set the look and minimize creasing through the day. The key is not to overdo it. Place the concealer strategically. Where you place the concealer is also important. We tend to get the most darkness around the triangle part at the inner corner of the eyes. The best trick that a fellow makeup artist showed me was to apply eye cream to the outer corner of the eye where you see the crows feet. Apply the concealer in the sinus area (triangle within the inner corner) under the eye then swipe your finger back and forth under the eye to blend pigment and hydration in just the right areas. Choose a lightweight formula. The texture of the concealer affects how much it will crease. Dry concealers tend to crease more because they are less flexible and cling to the folds of the skin. Choosing light reflective, cream formulas seem to work best in prevention of creasing. Apply the eye cream prep. Prepping the under eye area is important, as many people are already dry even if they applied an eye cream first thing in the morning. I prefer to re-apply eye cream, continue with the rest of the makeup then go back to the under eye area to apply concealer. This has given the eye cream enough time to absorb and do all of the line plumping and hydrating benefits before you apply the finishing concealing product. Don’t apply too close to the lashline. Avoid taking concealer up to the bottom lashes, as concealer tends to pool and crease there. If you get to close to the lash line, fix it by dipping a pointed cotton swab in some makeup remover or setting spray and gently run it under the lash line. Choose the right tools. Tools matter. A great trick is to use a small, pointed synthetic brush to apply the concealer only to the areas where you see a shadow. Then, pat into place with your fingertip. The warmth of your skin will melt product and blend it, making it look like skin and not makeup. Overall, concealer is one those cosmetics that is a must. Take the time to investigate formulas by splurging on multiple brands or having more education about the line you carry in your spas or salons. Clients will come back time and time again for more education from you once you show them your concealer expert skills and give them the “why” on what a product is truly doing for them. Encourage your clients to conceal to reveal their best self.